One of my favorite parts of celebrating any holiday is making fun theme foods, and Halloween is no exception. Actually, I think Halloween might just have the biggest selection when it comes to cute snacks and treats you can make. From mummies to pumpkins to bats–there are just so many great ideas out there. One of my least favorite parts of making holiday-themed foods, however, is the amount of time it takes. I don’t know about you, but decorating a ton of sugar cookies isn’t something you can do in a less than an entire afternoon. 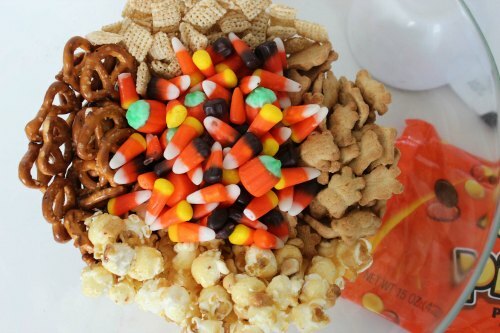 That’s why I love this Scarecrow Snack Mix for Halloween. It still has all the fun and cuteness that you would expect from a holiday treat, but it is SO quick and easy to make. All you have to do is pour all the ingredients into a bowl and stir. That’s it! 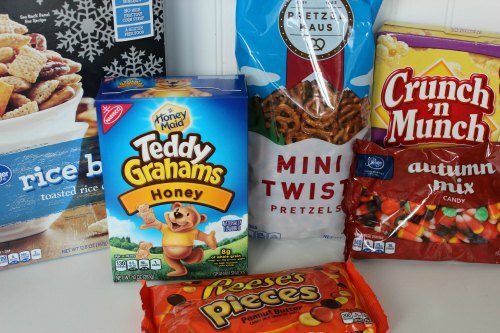 You would think that something that easy to put together wouldn’t be very yummy, but let me tell you–this Scarecrow Snack Mix for Halloween is SO good! Every time I make it, I can barely keep it in the house. The sweetness of the caramel and chocolate pairs with the saltiness of the pretzels and peanuts, and the resulting combination is so, so yummy. I have to be careful to just take a little bit in a bowl and not the entire bowl if I want to have any left! If you don’t have a ton of time to make cute desserts or do fun crafts with your kids this Halloween, that’s okay. 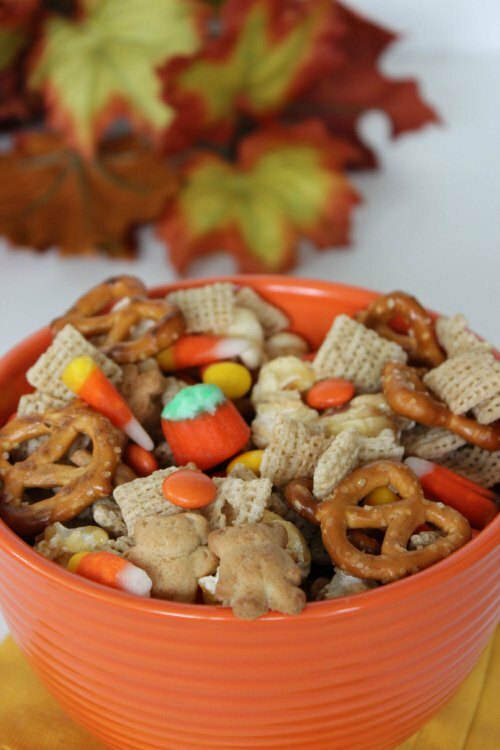 This Scarecrow Snack Mix for Halloween is doable even for the busiest of moms. 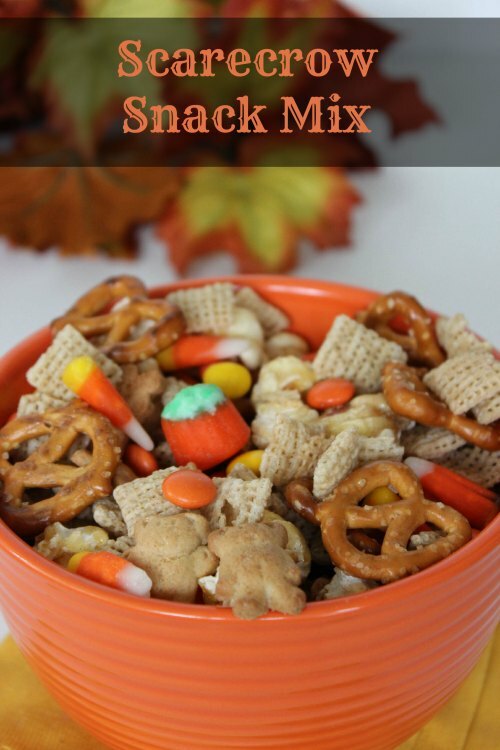 And I bet after just one bite, you’ll find the time to sit down and eat this Scarecrow Snack Mix for Halloween with your kids too! Optionally, you can sprinkle with mix of ¼ cup sugar and 1 tsp Pumpkin Spice.